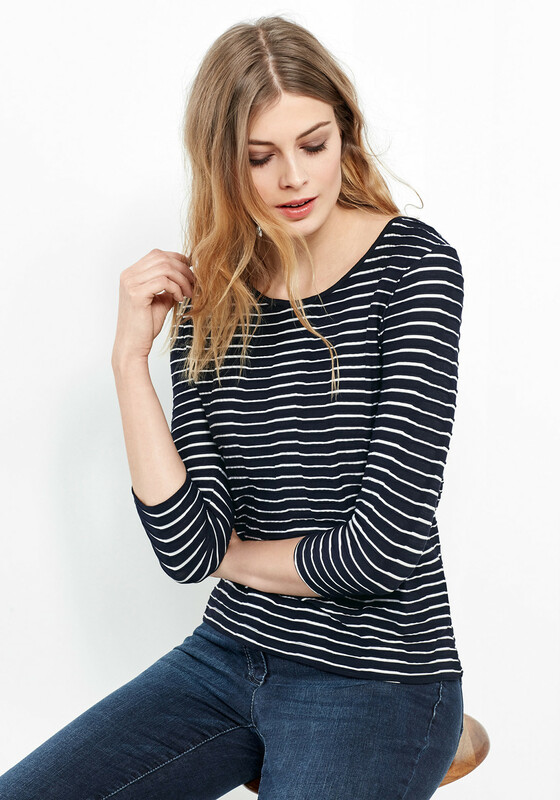 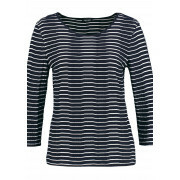 Gerry Weber presents this classic navy top which has a textured white stripe print throughout. 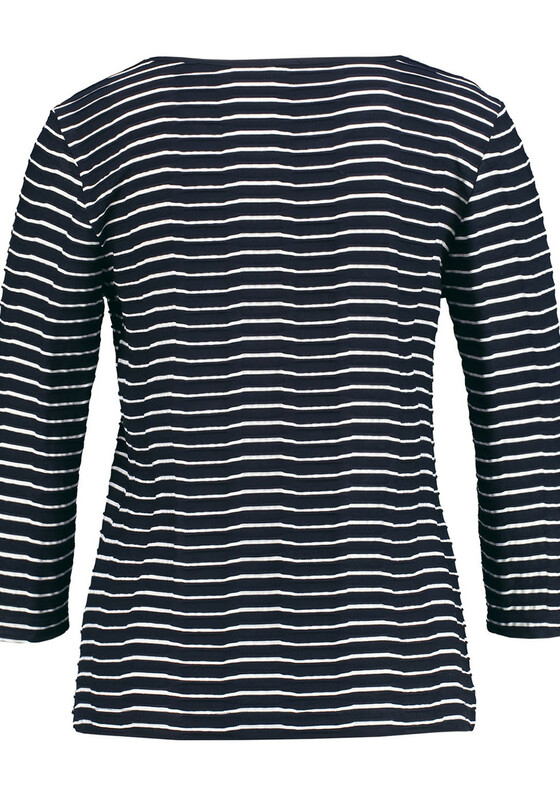 A nautical inspired choice which would look great worn with a plain jacket or cardigan. 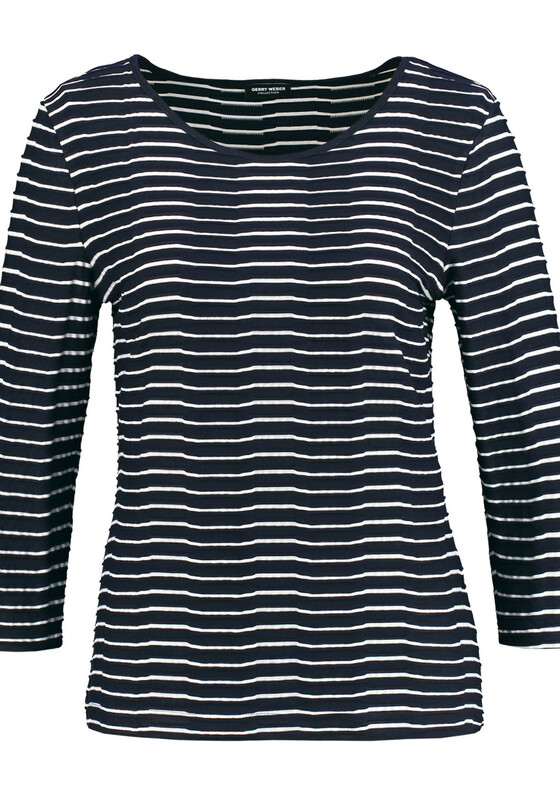 Styled with a figure skimming straight shape and cropped sleeves. 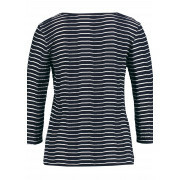 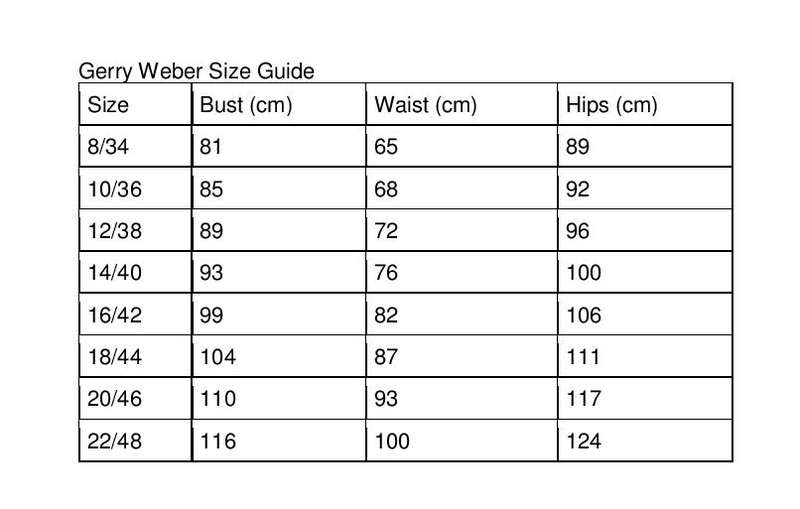 Made from lightweight jersey fabric which will be soft and comfortable against the skin.